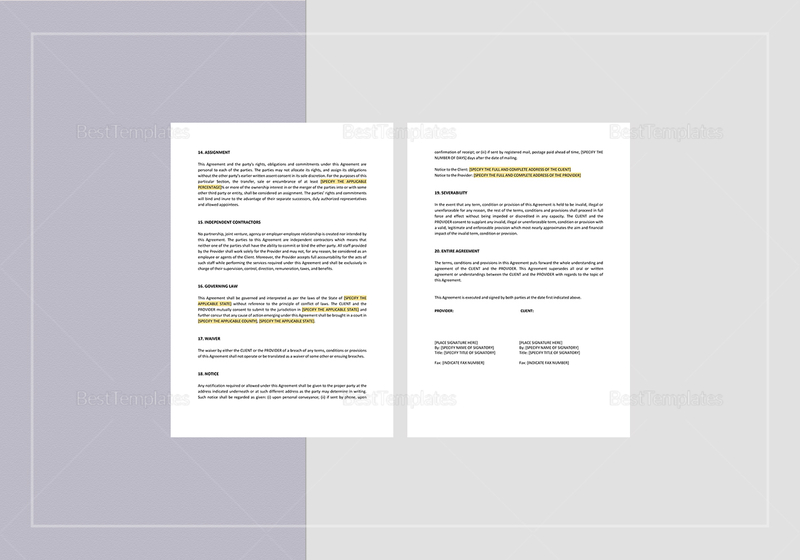 For a complete package agreement, use this ready made and fully customizable Website Design, Hosting and Commercial Services Agreement Template. 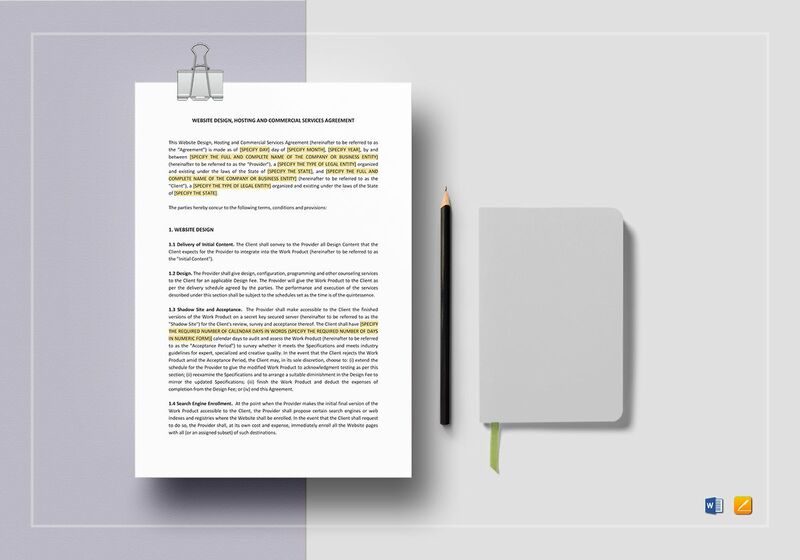 Simply instantly download this 8-page document anytime and anywhere. 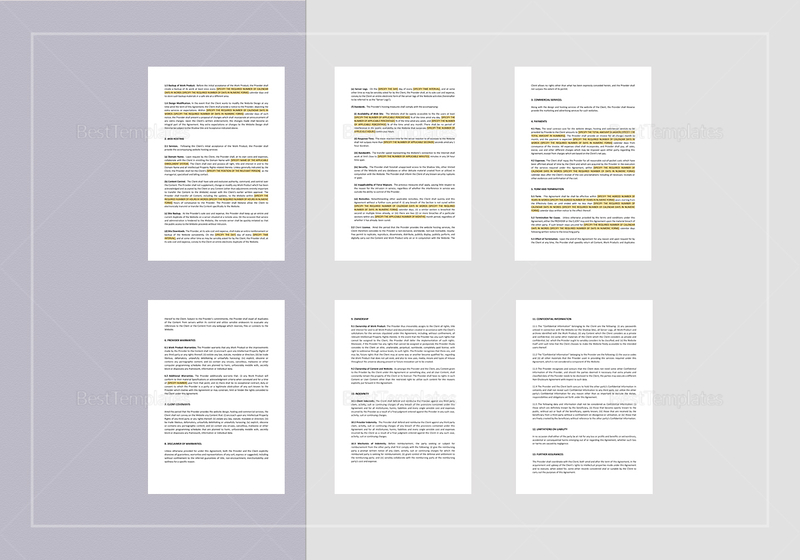 Just replace the highlighted portions of the template with your information and you have got yourself a brand spanking new agreement covering IT services offered. Print at home and send out to your IT service provider.